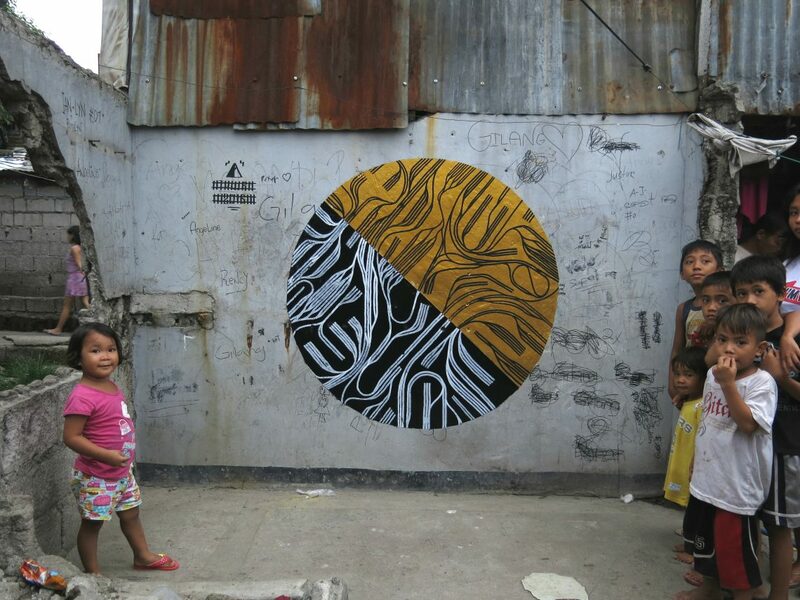 During one week in June 2016, French artist Nicolas Ciarlone painted several abstract murals in different places of San Roque, an urban poor aera of Metro Manila, the Philippines. 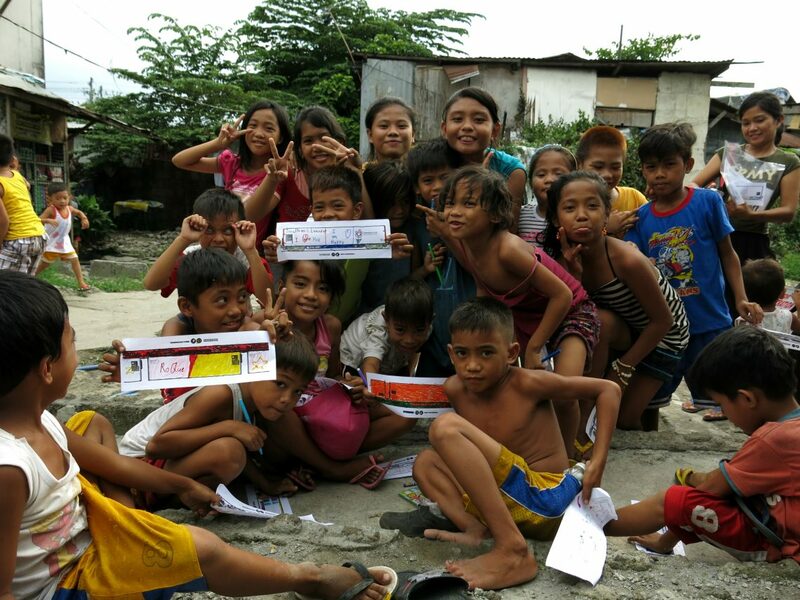 This project was conducted with the help of nongovernmental and nonprofit Filipino cultural organizations Peoples’ Solidarity and Education Tours (PSET) and Kalipunan ng Damayang Mahihirap (KADAMAY), the largest alliance of urban poor organizations in the Philippines. It aims to support the inhabitants of the San Roque in their struggle against the scheduled demolition of their neighbourhood, due to a private and governmental project which aims to turn the place in a new business and commuting centre. San Roque is one of numerous urban poor areas located in Quezon City, a part of Metro Manila. Like most of the urban poor areas of Manila, San Roque has no legal status. 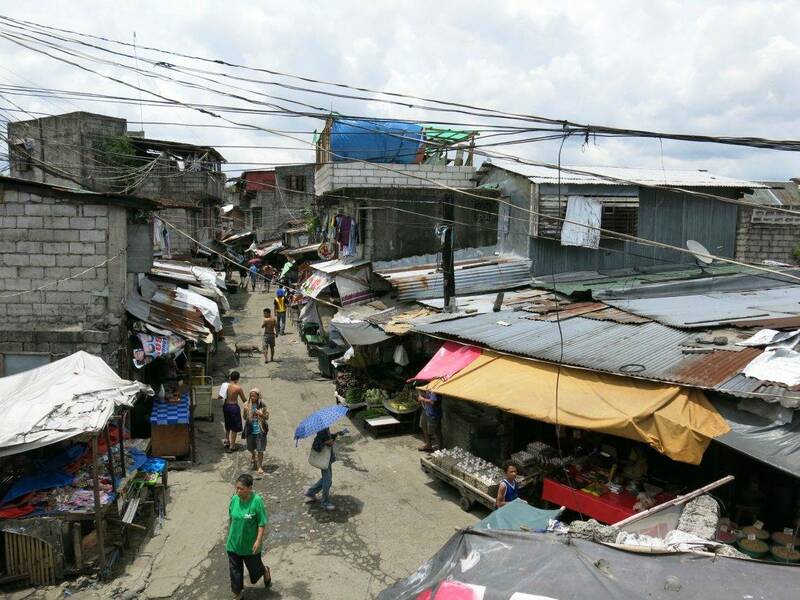 Hundreds of poor Filipino families are living there, trying to make a living in very precarious living conditions. Migrants from all over the Philippines are piling in cubocubo, small houses made of everything, mirroring the patchwork of languages, culinary and religious habits of the San Roque inhabitants. They are precarious workers, as tricycle drivers, construction workers or street vendors; they represent an abundant and cheap workforce. Thus, San Roque symbolizes both wealth inequalities and internal migration flows to the city, resulting from the huge urbanisation process which is happening in the Philippines. 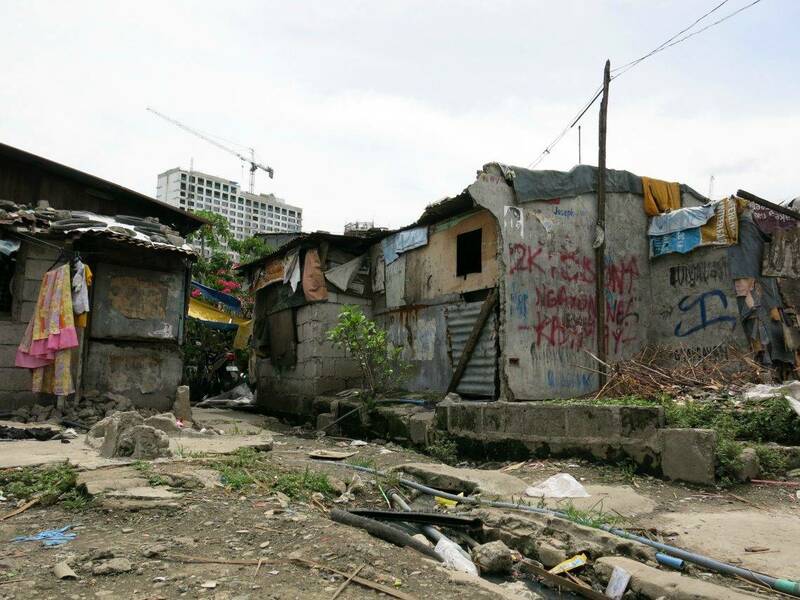 As many other urban poor areas of Metro Manila, San Roque represents the growing poverty resulting from neoliberalist policies and corruption problems which are undermining the Filipino society. People living in San Roque are now facing a major threat: demolition warlords. 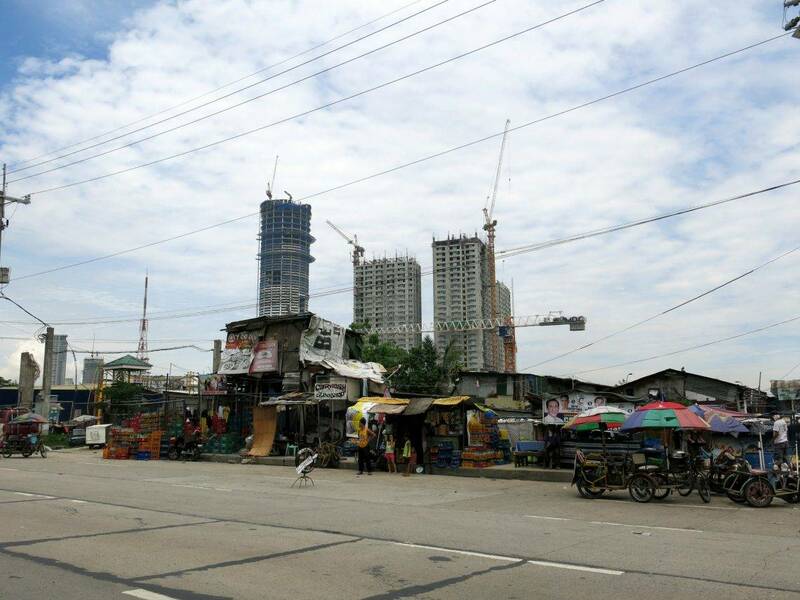 The land on which they live, originally the property of the municipality of Quezon City, has been sold to one of the richest and most politically influential families of the Philippines. Their project is to build a business centre, a commuting centre and towers of condominiums instead of San Roque. A relocation plan has been set up which allows the volunteers families to leave San Roque in exchange for some money. But the place where they are relocated is far away in the northern periphery of Metro Manila, without any educational, social and healthcare facilities. A struggle is on now and people of San Roque are getting organised to protect their livelihood against violence, corruption and demolition warlords. 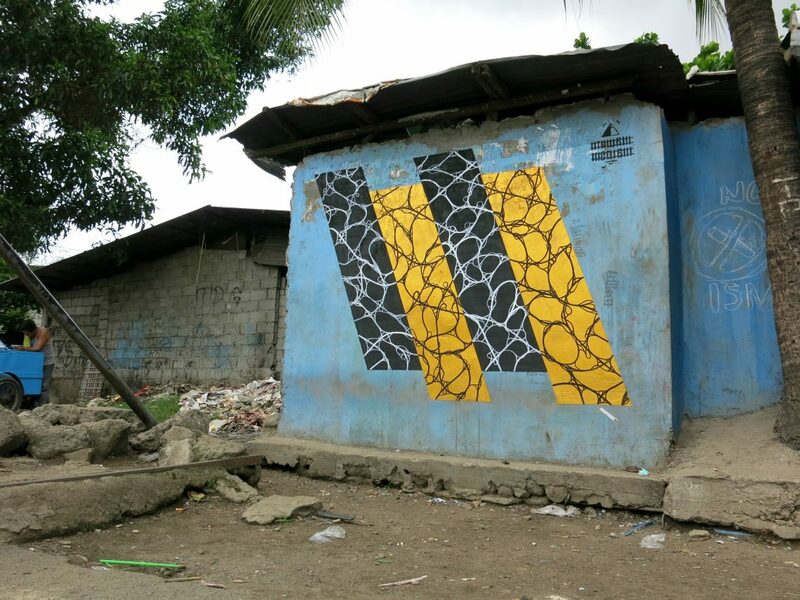 The goal of the art project conducted by Nicolas Ciarlone was to use painting as a political and an educational tool, in order to support the struggle for the inhabitants of San Roque in their legitimate fight for a livelihood. It also entails a reflection on the way that our city politics deal with the lives of thousands of urban poor people and their relegation to peripheral areas of the city, chased away by the development of the city infrastructure and commuting systems. The abstract design of the paintings echoes the physicality of railway and motorway networks, and it is a nod to migration and to the excessive urbanisation process by which our cities grow, live, occupy space and generate poverty, inequalities and discrimination. By showing geometrical shapes saturated by commuting networks, Nicolas Ciarlone’s work entails a reflection on the interactions between the flow and the movement of our megalopolis and their inhabitants, and especially the poorest ones who are directly facing the consequences of these processes, and whose voice has been so far unheard.